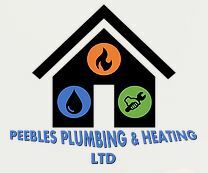 Peebles Plumbing & Heating Ltd - Central Heating Engineer, Plumber based in 21 Whitestone Way, Greater London. Invoice history based on 73 reviews. Our plumbing & heating and handyman company can boast both many years of experience and many successfully completed projects. Satisfied customers are what motivate us to complete jobs reliably, faithfully and on time. We also specialise in refurbishment, bathroom, kitchen fitting and installation. You will get serious work at reasonable prices. Prior to commencing a job, we undertake intensive discussions with our clients, enabling us to consider their requirements while providing competent and exhaustive consultation. We offer you extensive services around your home. We'll be happy to provide consultation on projects, and our competence guarantees that we'll come up to standard. Peebles Plumbing & Heating is your dependable partner!